A 'Mardi Gras' Air Jordan XX8 SE PE for Russell Westbrook? Why Not? As they did for the Los Angeles Clippers trio, Jordan laced Russell Westbrook up in special sneakers tonight in celebration of Mardi Gras. As they did for the Los Angeles Clippers trio, Jordan laced Russell Westbrook up in special sneakers tonight to celebrate Mardi Gras. 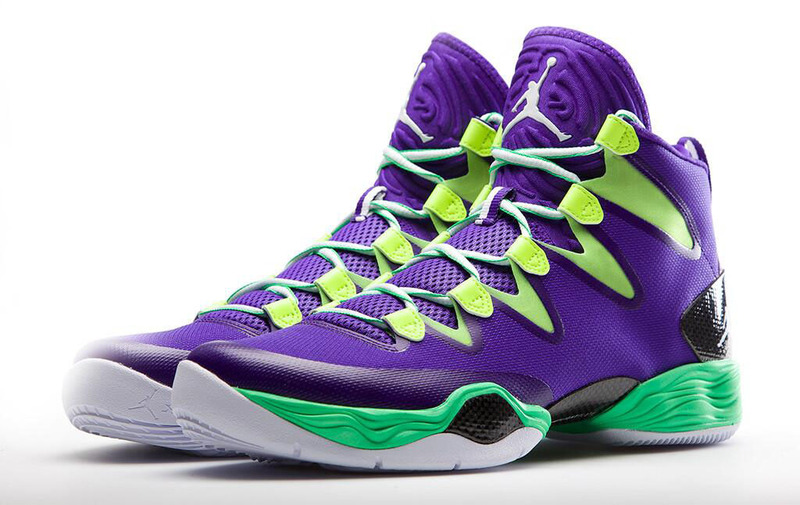 Russy's 'Mardi Gras' Air Jordan XX8 SE sports a purple and volt upper with a black counter and white Jumpman branding. Below sits a green midsole and white rubber outsole. 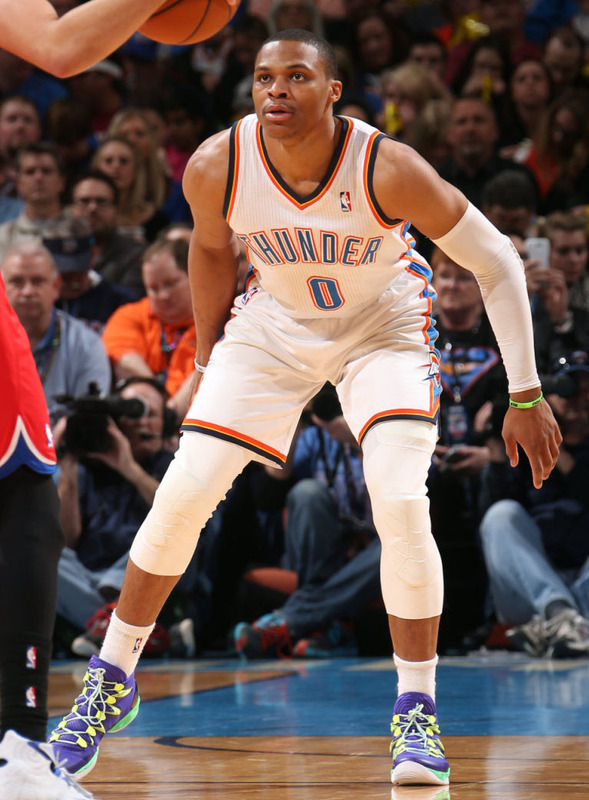 In his PE, Westbrook recorded a triple-double as the Thunder eased past the 76ers 125-92. Is this one of the best XX8 SE colorways to date? Check out the photos and let us know what you think.